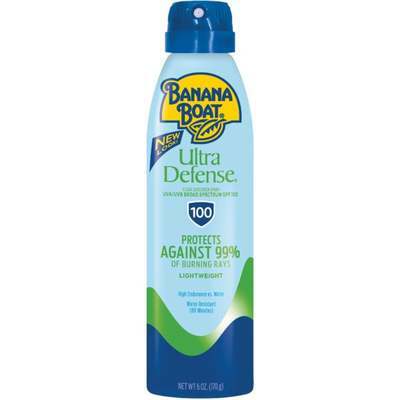 Ultra Defense blocks 99\% UVA (ultraviolet long-wave rays)/UVB (ultraviolet short-wave rays) and provides the highest level of spray protection. Enriched with aloe vera and vitamins A and E. Clear, continuous spray. Recommended by The Skin Cancer Foundation.